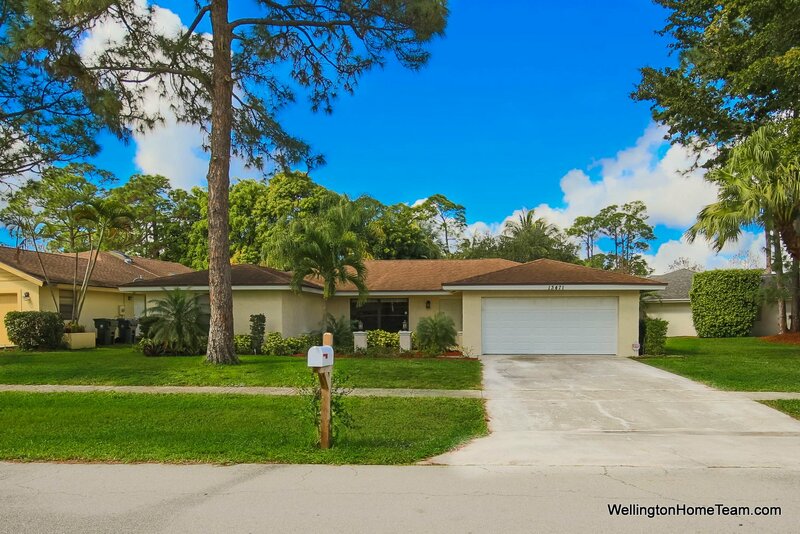 This property at 13471 Jonquil Place , Wellington, FL33414 has listed by Michelle Gibson, REALTOR but has not been updated for quite some time. Please contact the listing agent and broker for up to date information. Gorgeous Sugar Pond Manor Pool Home for Sale in Wellington Florida! Renovated from top to bottom this one story home features 4 bedrooms + den, 2 bathrooms, a 2 car garage and is situated on a 1/4 acre fully fenced lot. Upon entering you will immediately fall in love with the open floorplan, vaulted ceilings and upgrades throughout. Sugar Pond Manor is a non-gated community located in the heart of Wellington Florida. Wellington Elementary School is within in walking distance while Wellington Landings Middle School and Wellington High School are only a short drive away. Dining, major shopping and entertainment are also close by along the Palm Beach International Airport, Wellington's equestrian grounds and Florida's sandy beaches. The oversized family room and dining room are open to one another and have sliding glass doors that lead out to a large covered and screened patio. The gourmet kitchen features upgraded wooden cabinetry, hard surface countertops, tile backsplash, stainless steel appliances, a breakfast bar and breakfast area.